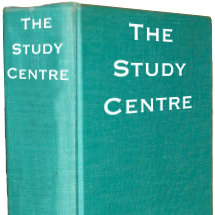 Click on the image of the book (to the left or above) or click on this link to enter The Study Centre. You will need the username, password to enter The Study Centre and an initial enrolment key(s) for each course you wish to enter within The Study Centre. If you do not know what this means, please consult the various help sheets (below). In the Teachers' areas for each title you will find everything that you might need: guides, answer keys, paper-based tests, supplementary materials, etcetera. How to log in for the first time? Please note that since these videos were made, the appearance of courses within The Study Centre has changed, but the content has not. These videos pre-date the release of Discussion Book 1 and Discussion Book 2.